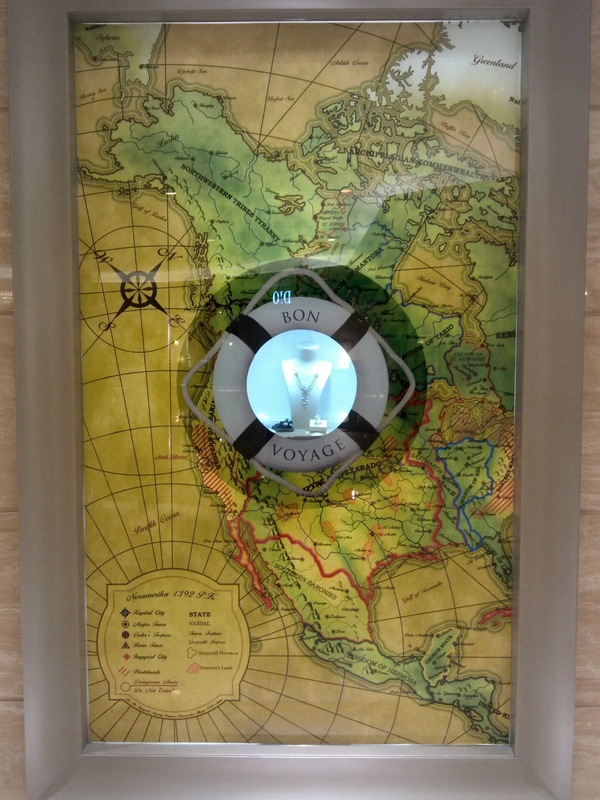 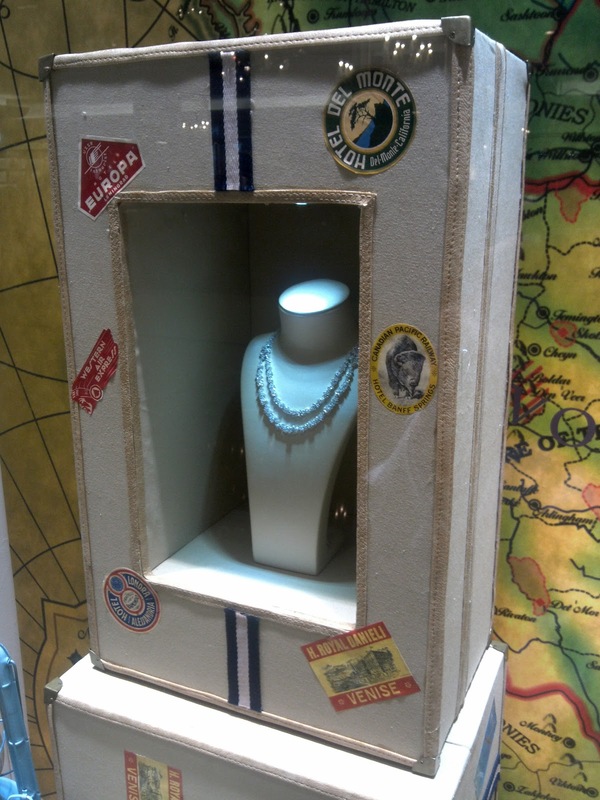 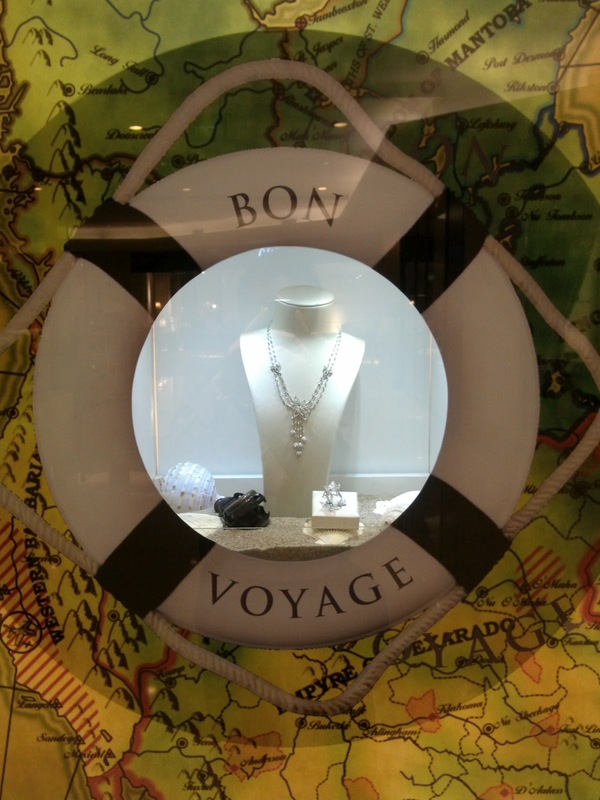 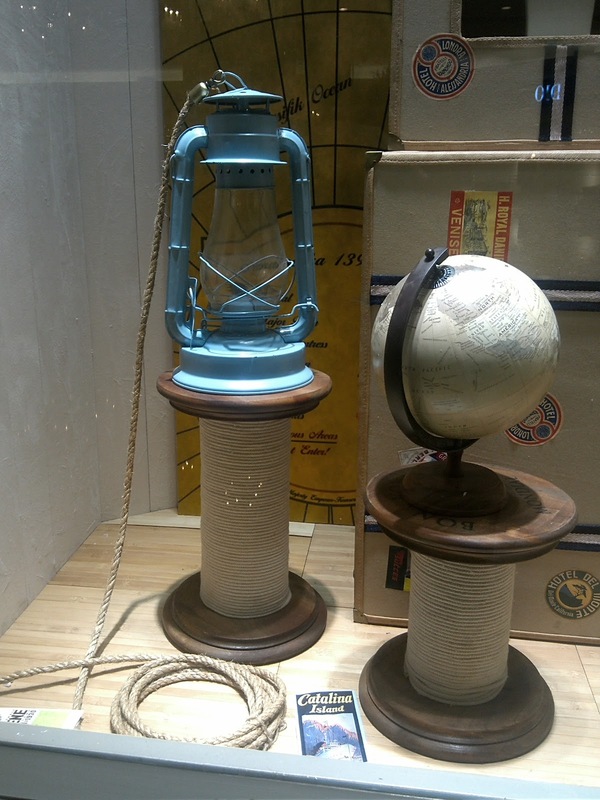 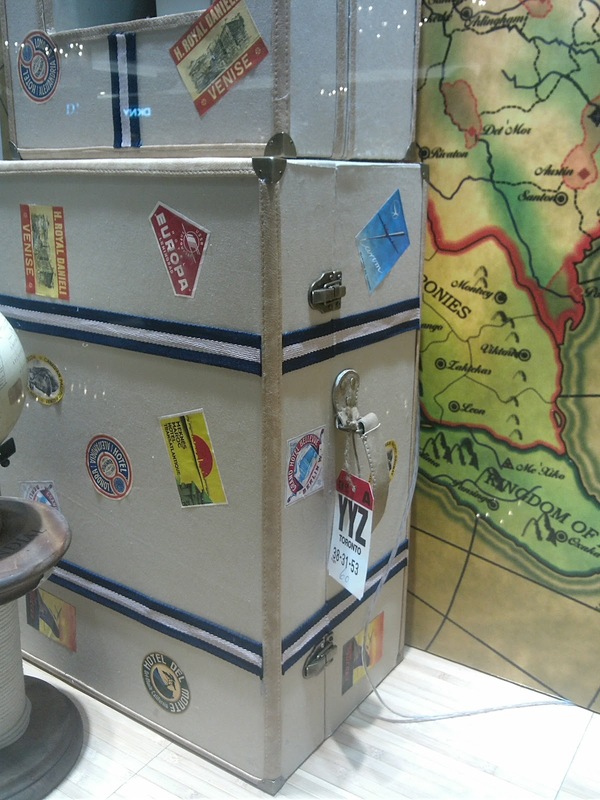 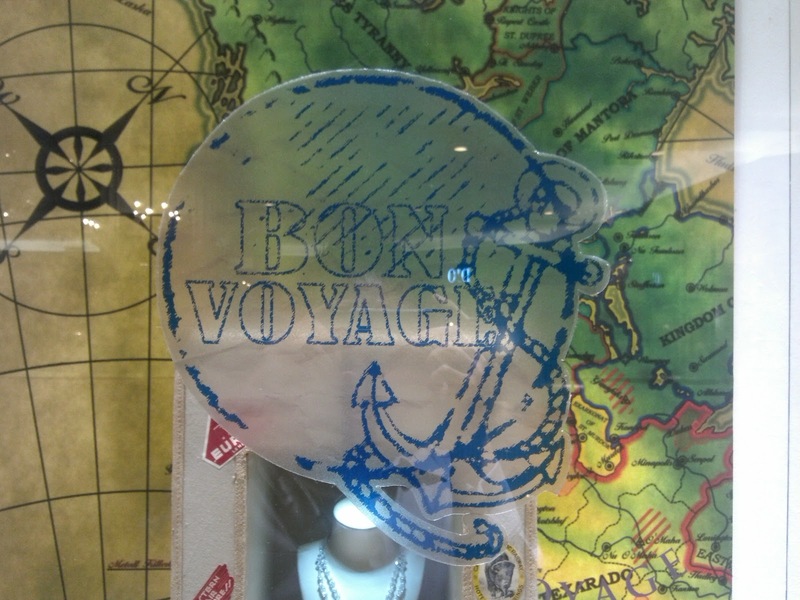 Mondial takes the theme of historical sea traveling in its latest window display. 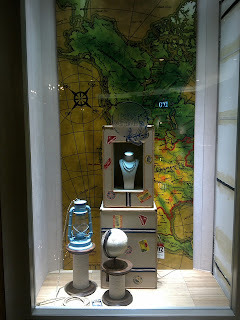 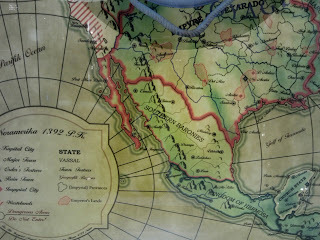 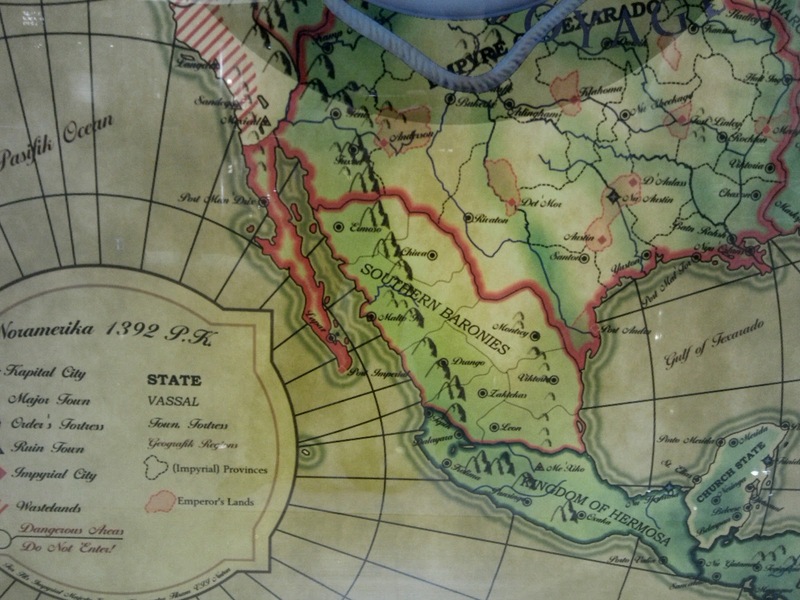 There is one window covered with a gigantic South America map that has a hole in the middle to show the jewelry collection. 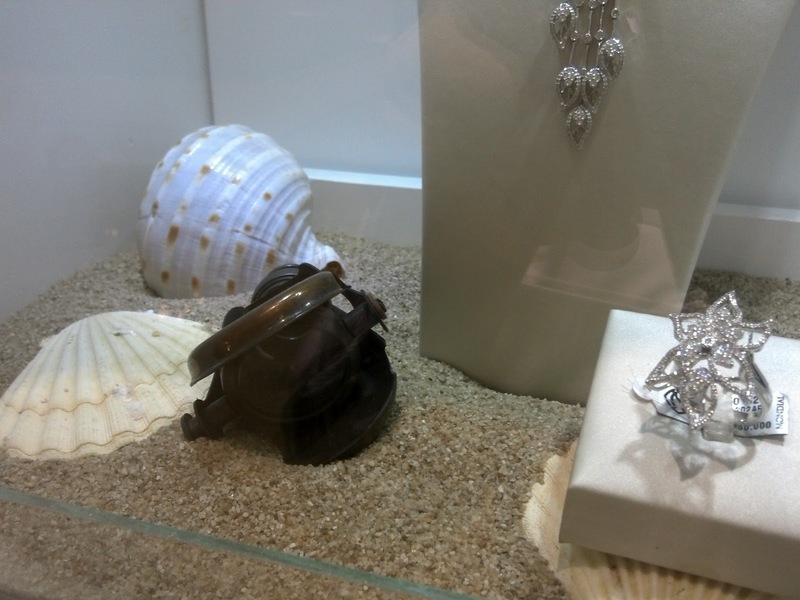 Sea sands with some sea creature shells are surrounding a neck mannequin where the necklace is placed. 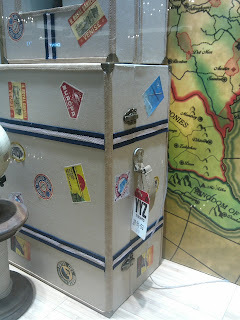 On the other window, big old trunks with stickers to show the owner's previous destinations stand with old traveling tools like oil lamp and a globe.